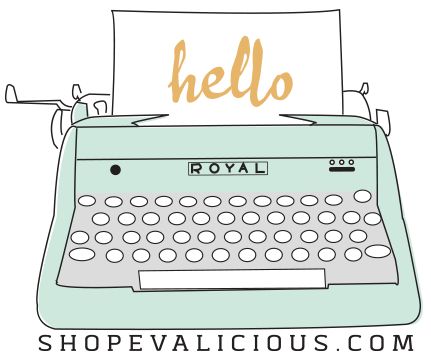 Hello there Evalicious fans! Christine here today to show you a layout about some birthday cupcakes! Back in February I surprised my husband with some cupcakes at work so he could celebrate with his work friends! Since the subject matter was cupcakes, I thought it would be fun to play with circle shapes. I used my Silhouette to cut out a few circles on my white cardstock background. Then I adhered pieces of patterned papers behind them to fill them. I used journal cards, circle tags, wood veneer, paper clips, and a doily to add texture to my page. To add to the circle theme, I added a badge button from Field Notes Badge Buttons V1. I also added some gold puffy stickers, ledger alpha puffy stickers, and some journaling.